Hello readers and blog followers! 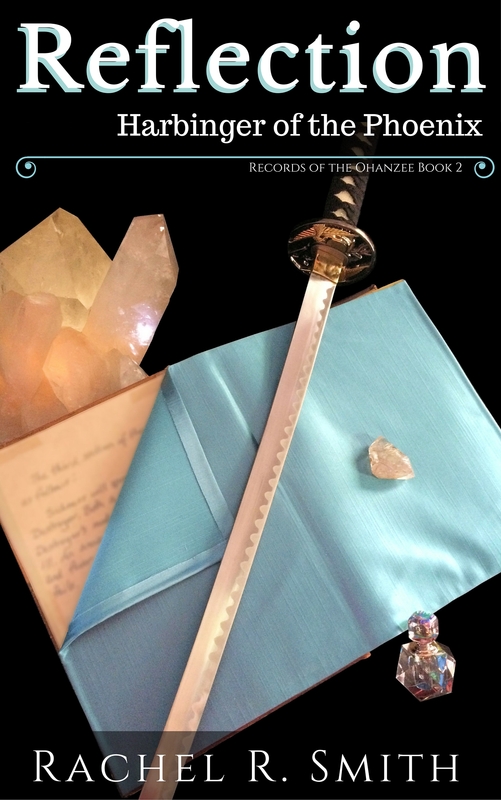 I got a ton of fantastic feedback from you regarding the cover images and now I’m hoping I can get your input on the synopsis for Records of the Ohanzee Book 2, Reflection: Harbinger of the Phoenix as well. My first draft of the blurb is below. I think that it covers all of the essential points without spoilers, but I’m sure it isn’t quite as catchy as it could be. At this point, I keep going around in circles and I just can’t quite put my finger what to change. Any thoughts/impressions/criticism/compliments are appreciated! King Casimer of Marise has assassinated the Royal Family of Chiyo and usurped the throne. He is unaware that Nerissa, the presumed-dead Heiress, was actually rescued by the Ohanzee, a group of guardians who have secretly protected the country for generations. Disguised as a young man named Caeneus, Nerissa returns to the capital city, hot on the trail of the mysterious prophetess Shae. Shae and her daughter Desta have discovered that a precious family heirloom is actually one of six books that contain an ancient prophecy. And the events it describes have already begun to happen. The key to preventing the forewarned tragedy is finding the One that the prophecy describes. Shae and Desta travel to the capital city where an uncanny stroke of luck leads to the identity of the One being revealed. The discovery sends Nerissa and her six Ohanzee companions on a journey across Chiyo and Marise in search of the remaining books. The fate of not only Chiyo, but all of Renatus, hinges on their success.